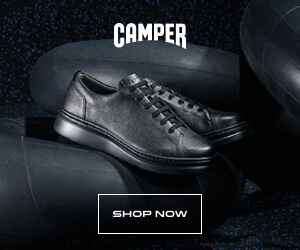 CAMPER CA Runner F/W 2018: The Camper iconic sneaker returns! Dear Publishers, It was 36 years ago that Camper first took a chance on Runner, a casual sneaker boasting unexpected comfort and a smooth urban aesthetic. For the Fall / Winter 2018 collection, the iconic style makes a comeback in bold seasonal colors and an updated silhouette that connects the heritage of Camper’s past with the innovation of the present.